One of the things that my family and I love most about camping is being able to have a campfire. There is just something that is so relaxing about sitting around one and staring into the flames! The kids have always loved going around and picking up kindling to get the fire going. Now that they are older they are perfectly capable of getting the fire started from scratch. Which is why I asked Miss Oz to give us her tips on How to Start a Camp Fire. 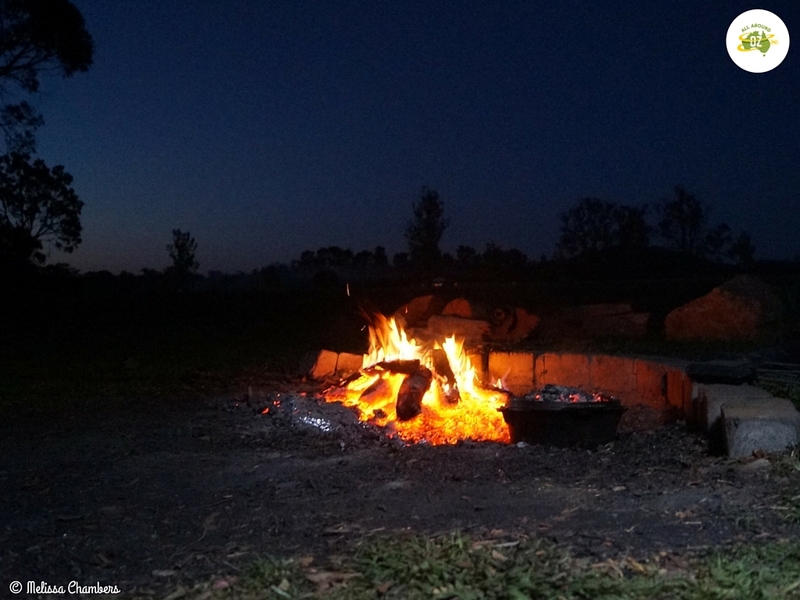 As an ‘experienced’ camper, I think it’s fairly safe to say that one of my favourite parts of camping is building the camp fire to cook up a yummy dinner or stay warm on some very cold nights. So I’d like to give you a few hints and tips that I like to use before starting a campfire. 1. Start off by collecting some sticks and twigs. Don’t worry about size or shape, they all get used some time. You’ll need to collect thinner sticks to start it off and the thicker ones come in later. To help get your fire started, gather some small sticks or chop some larger pieces into kindling. 3. It is important to place the small sticks standing upright in a tee-pee like shape around the paper as the fire will need plenty of air to start up. Make sure that the fire lighter is not completely smothered in sticks. Once the sticks are built up, light the paper. Or if you can reach, light the fire lighter. We use a barbeque lighter as the longer handle makes it a bit safer. Getting the campfire going is a job the kids will love helping with. 4. Once the fire is going a bit, gradually add sticks and increase the size of the sticks. Make sure you always keep the sticks in a triangle like shape to ensure your fire will burn for a longer amount of time. There is nothing quite like a camp fire to gaze into at night. Now all you need to do is sit back and enjoy the warmth from your campfire. I love a good campfire. This was one of my husband’s greatest loves when we were travelling around Australia – lighting a campfire in the middle of nowhere. I will have to show him this. It’s our favourite part of camping too. Camping and a fire go hand in hand! Oh and don’t forget the marshmallows.